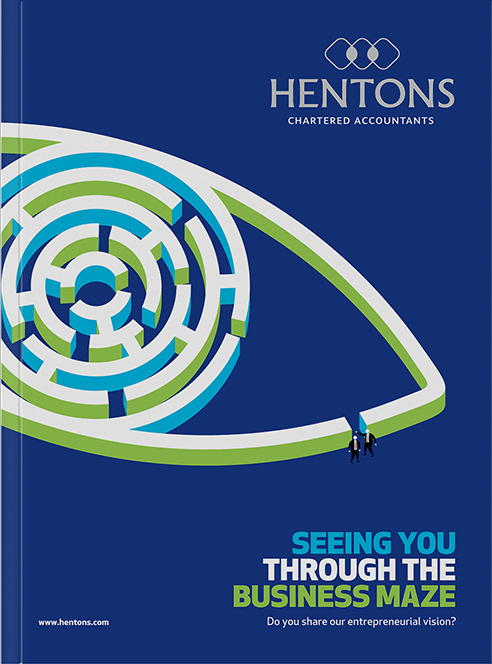 Hentons came to us for help with differentiating their brand from the highly saturated market of accountancy firms in Leeds, with a view of promoting their unique set of services for entrepreneurs and start-up companies. 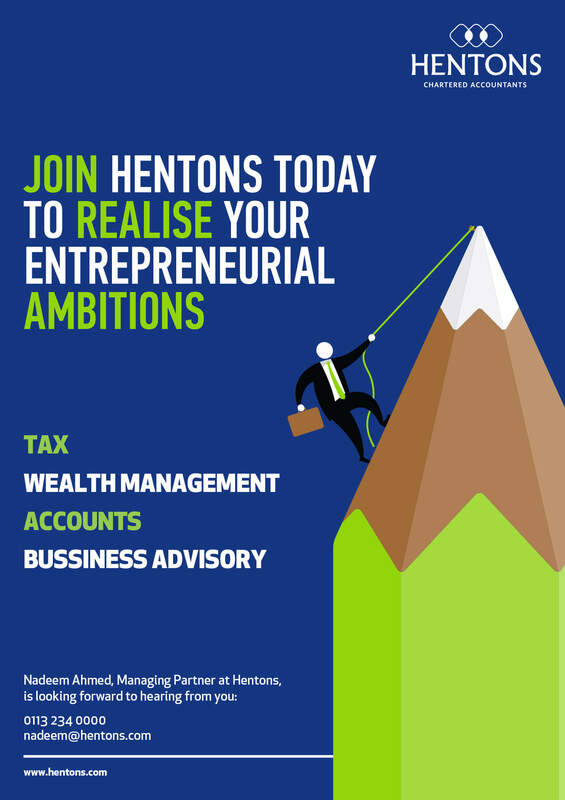 To provide design support for their new communications strategy in connecting the Hentons brand with the entrepreneurial community. 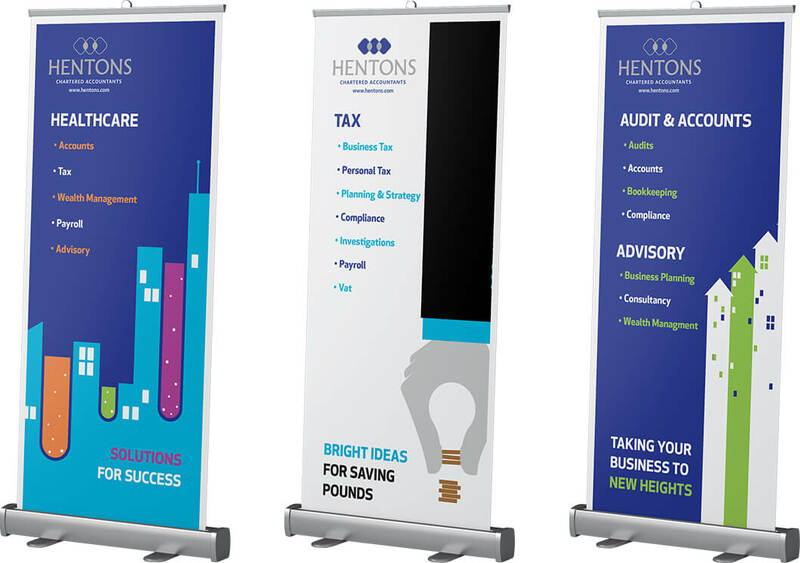 Our design work was driven by the Hentons philosophy: ‘Maintain the entrepreneurial business ethos that drives us to be ambitious and courageous and to deliver excellent quality service'. 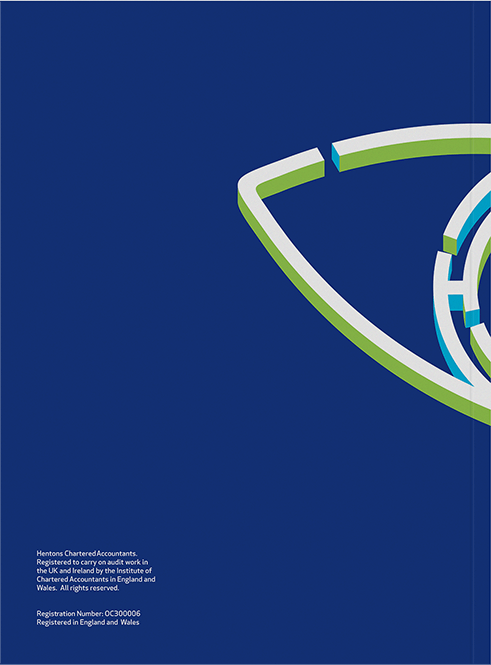 We created a set of illustrations to help bring the brand and the new communications strategy to life, with each of the images reflecting important parts of the vision statement. 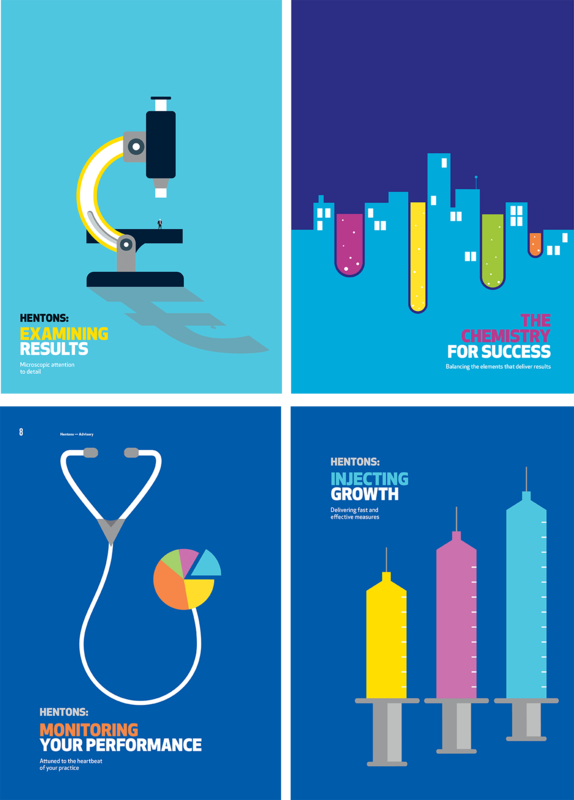 In order to align the brand with entrepreneurs and ambitious start-ups, it was important for us to create a set of visuals that would actively engage customers and make individuals ‘think differently’. Each of our designs represent key visionary statements that are fundamental to becoming a successful entrepreneur. 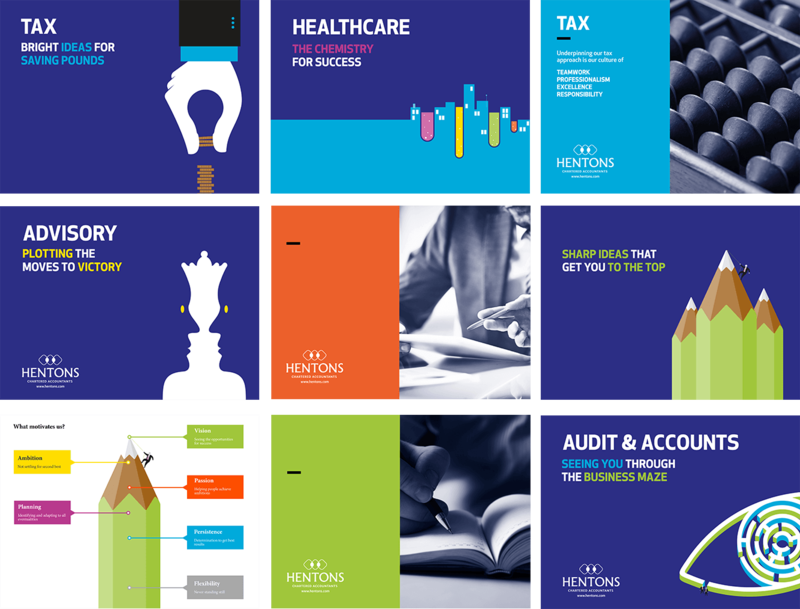 Additionally, these images also mirror the way that Hentons do business, differentiating the company from the market and distinguishing them as a company that has a unique and fresh approach.